F/O Harold T. Smart, husband of the former Faye Morton, attended Okla. Univ. 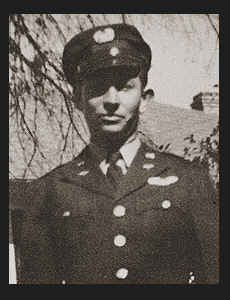 Entered Air Corps in December, 1942, trained in Tulsa, Okla., Sheppard Field, Lubbock, Austin, Wichita Falls, Texas, North Carolina, Ft. Wayne, Ind., Blytheville, Ark. ; is now on terminal leave.